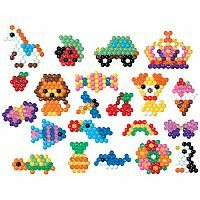 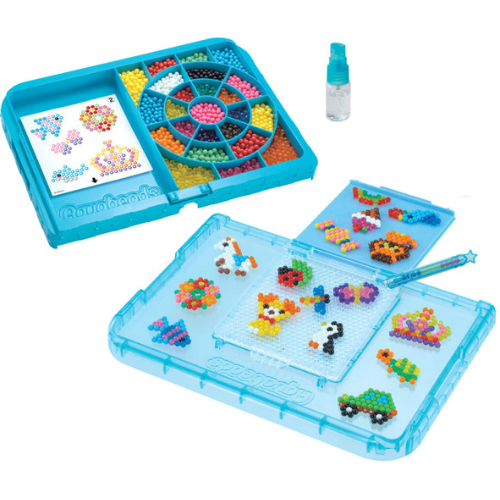 The Aquabeads Beginners Studio comes complete with 840 beads in 16 colors, more than enough to create whatever your imagination thinks of to create. 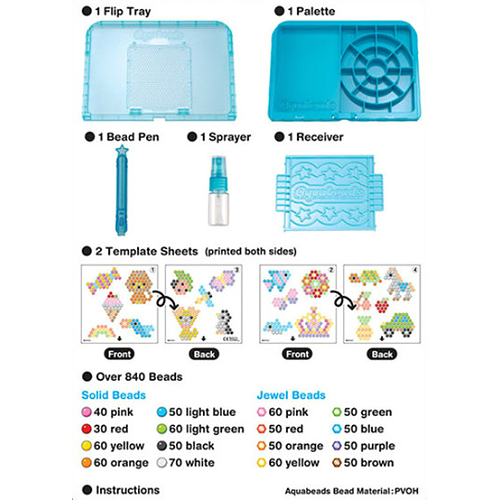 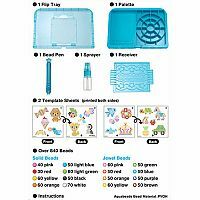 The set comes with a handy place to store all of your beads, pallette with the new flip tray to take off your bead design from the tray instantly after spraying water, and template sheets as well as a bead pen and sprayer. 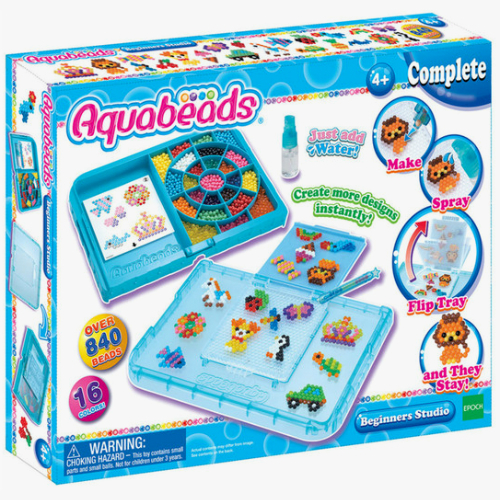 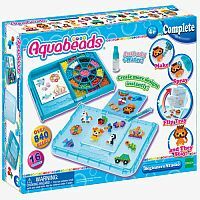 The Beginners Studio is suitable for those who have just begun their Aqua beading adventure. Measures approximately: 12.25 x 9.50 x 2.00 inches..